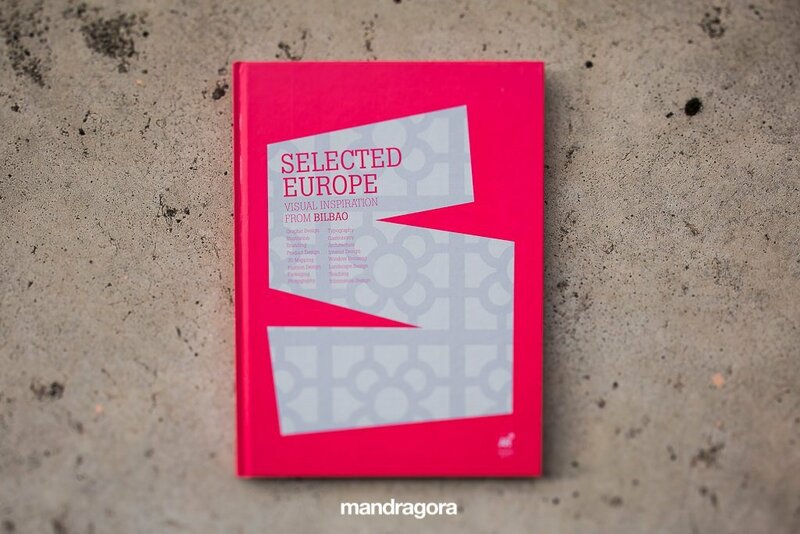 Estamos muy orgullosos de formar parte del libro Selected Europe. Visual inspiration From Bilbao. Un libro de IndexBook que reúne trabajos artísticos y de diseño de referencia a nivel europeo. La UNESCO ha incluido a Bilbao en su Red de Ciudades Creativas (apartado Diseño) y por ello profesionales como Hernán Ordoñez (design manager) y empresas como Otzarreta (Imprenta de Zarautz) han apostado por atraer este libro y el evento asociado al País Vasco. Es todo un honor estar en un libro con referentes del diseño como Design Bridge, Foster&Partners, Mugaritz o Vignelli, entre otros. Felicidades a todos por el gran trabajo realizado y nos vemos en Bilbao! What’s your idea of Design? Society has a very stereotypical idea of wedding photography. And often with good reason. Decades of kitsch and romanticism have been responsible for this negative image. Gradually, photographers are changing the way we understand a wedding. For us it is a day of fun and excitement, and couples who hire us also understand it this way. Our reports seek to capture the story of a day. We tell what happens, without a “pink filter” that sweetens reality. As in photojournalism, we apply the premise of not intervening in what happens. We let the actions arise spontaneously, to grasp it through our eyes. The portrait is another key part of our work. We do not need idyllic settings full of parks and flowers. At the end of the day, the portraits should focus on people rather than on their surroundings. For us an alley, a car park or a gas station can be a perfect place for a wedding portrait. The bottom line is light; if it is good, we take advantage of it, otherwise we add it through the flashes. What and / or who are the inspirational references that build your imaginary? Our main references are film and TV series. House of Cards, the Marvel Universe, The Godfather, Penny Dreadful, etc. We analyse the various lighting schemes for several frames and posters to apply them to our pictures. With this, we get away from the clichés of wedding photography and find an original voice, which comes from the shared interest of the two partners in the studio. We reflect our personality and film-related imaginary in our work, in a natural way. What methods, techniques and experiences do you usually use during your design process? For us, the shot is only the last thing in the creative process. We give great importance to the analysis of visual references and criticism of our own work, which allows us to learn and unlearn several aesthetic concepts. Our experience with may weddings also allows us to anticipate situations, to position ourselves in the best possible place and capture the moment in an appropriate way. For portraits w tend to make a storyboard, where we reflect some ideas that we carry out on the wedding day in the shortest possible time. On many occasions we have weddings in the same location, and making a storyboard helps us to avoid repetition. Inspiration does not always come when we need it, so we anticipate the creative process by outlining ideas. Agradecimientos especiales a Hernán Ordoñez (www.hernan.tv) y Gabriel Alonso (Director de Arte de Otzarreta).